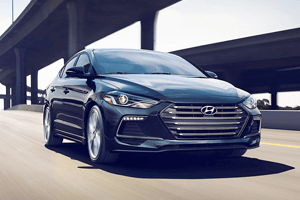 Drivers in search of a well-equipped new car at an affordable price should consider the stylish and sophisticated 2018 Hyundai Elantra. With its fuel-efficient powertrain, roomy cabin for up to five passengers and affordable price, this sedan feels a cut above the compact car segment in both space and refinement. 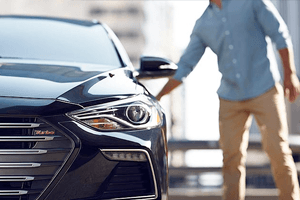 If you are intrigued by the latest version of Hyundai's Elantra and you live near Denham Springs or Prairieville, LA, then come and see this striking sedan in person at All Star Hyundai. We have a superb selection of new Hyundai Elantra sedans in Baton Rouge, LA - and more arriving in stock regularly. Continue reading to learn more about the many impressive features of the 2018 Elantra. With its recent complete redesign for the 2017 model year, the Elantra returns for 2018 retaining its fresh style and upscale interior, plus a new trim level and lower prices across most of the range. The new Elantra SEL trim slots between the SE base model and Value Edition trim and boasts not only a low price, but amenities that have proven to be popular with Elantra buyers in past years. For instance, the new SEL trim adds a 7-inch center display screen integrated with the Elantra's audio system, complete with Apple CarPlay and Android Auto, plus a rearview camera with guidelines. Free-of-cost safety features that come with the new Elantra SEL trim include a lane change assist system and blind spot detection with rear cross traffic alert. If you choose another trim level of the 2018 Hyundai Elantra, you will find that all but the Sport trim have lower prices than last model year. The popular Elantra Value Edition comes in at $400 lower for 2018, while the Limited's price falls by $250 and the Elantra Eco by $100. 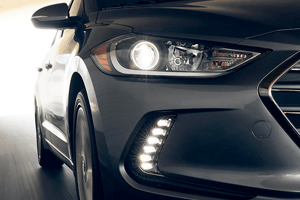 The recently redesigned Elantra is offered with a choice of two powertrains to tailor the car's driving experience to your needs, budget and lifestyle. 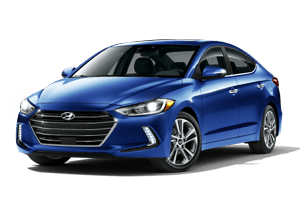 Most 2018 Elantra models feature Hyundai's 2.0-liter inline 4-cylinder engine, developing a spirited 147 horsepower. The standard 2.0-liter engine can be coupled to a 6-speed manual gearbox or automatic transmission. The efficiency-focused model of the line -- the 2018 Elantra Eco -- gets a 1.4-liter turbocharged inline-four engine that delivers 128 hp and enhanced fuel economy over the standard 2.0-liter engine. The turbocharged Elantra Eco gets a 7-speed dual-clutch transmission as standard to aid in maximizing fuel efficiency. Are you ready to discover a new Hyundai Elantra for yourself near Denham Springs, LA? Then visit All Star Hyundai or shop our online inventory today. Our Hyundai dealership features new Hyundai and used car sales, a financing team, dedicated auto service center and genuine Hyundai auto parts. The All Star Hyundai team looks forward to serving you soon!